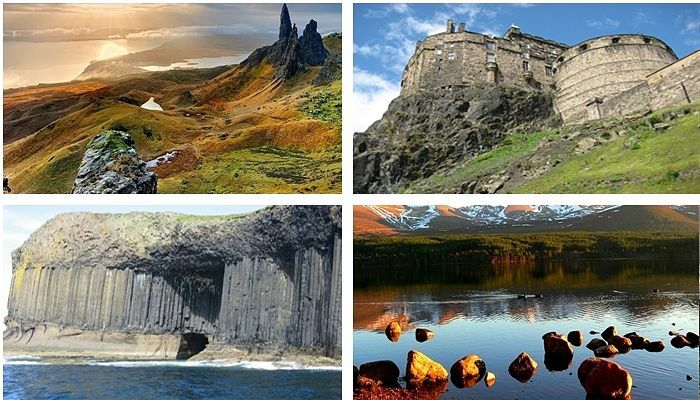 There are many beautiful sights to see in Scotland, from natural wonders to man-made structures. These are my personal top 10 picks from my travels around the country. If you’re touring the country, and armed with a good camera, these are sights worth seeing in our towns, cities, villages and islands. I’ve listed them in my preferred order. Scene of the infamous Glencoe Massacre and the most incredible place I have visited to date. The tantalising scenery and the haunting atmosphere will live with you forever. 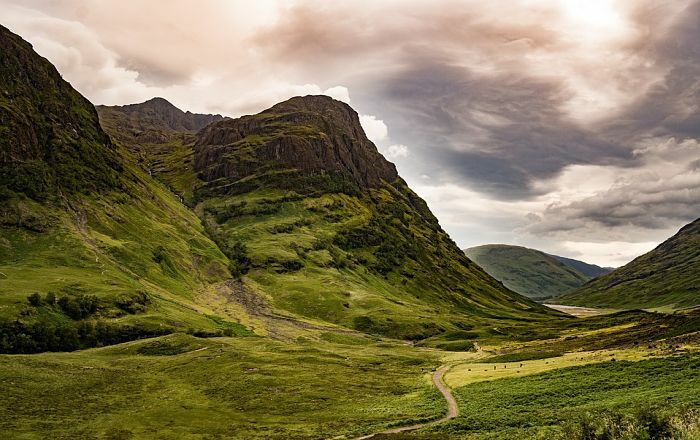 Thousands of people walk up Ben Nevis, the highest mountain in the British Isles, every year. The views are amazing. 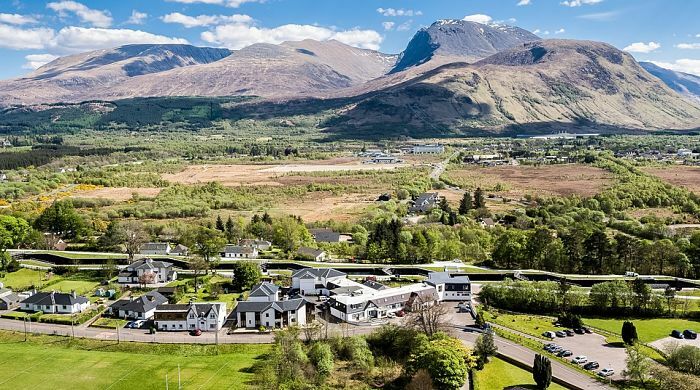 It’s near the town of Fort William which I’ve written about, and you can find out more detailed information on the Visit Fort William website. 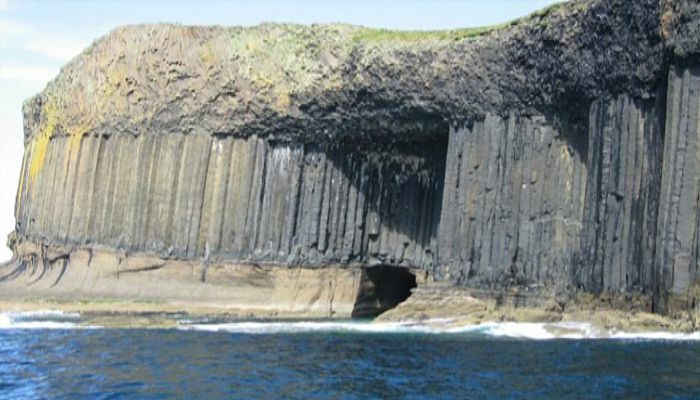 You’ll find Fingal’s Cave on the uninhabited Isle of Staffa in the Inner Hebrides. You can visit the cave with Staffa Tours, departing from either Oban, Iona, or the Isle of Mull. 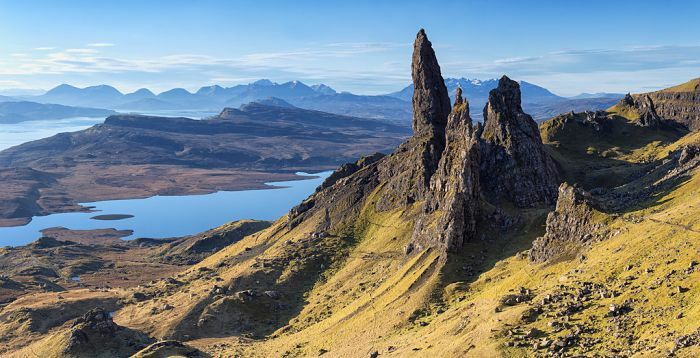 The Old Man of Storr on the Isle of skye is a sight to behold. An ancient landslide left its mark and created a picture of natural, rugged beauty. The ‘old man’ can be seen for miles around, but with most people wanting to get up close and personal it has, not surprisingly, become the most popular walk on the island. A 10 minute drive from Portree, the island capital, will take you to the car park to start your walk from there. 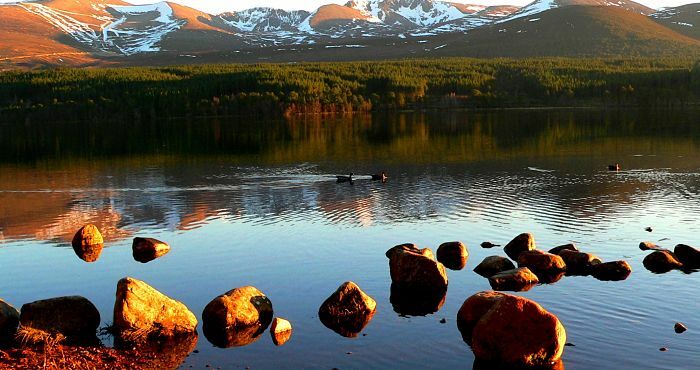 If you’re keen on watersports, Loch Morlich in the Cairngorms will not disappoint you. Situated in the Strathspey area near Aviemore. A natural sandy beach, toilets, changing rooms, cafe, lessons, and activities, surrounded by the beauty of the Cairgorms. This UNESCO World Heritage Site first became operational in 1890. 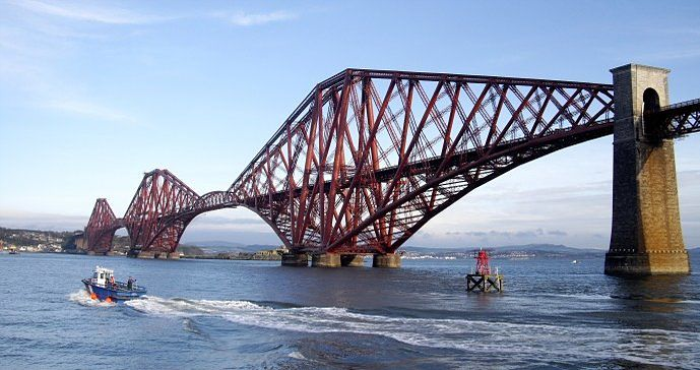 The cantilever steel structure spans across the Firth of Forth, about 9 miles from Edinburgh. Around 200 trains cross the bridge every day, and you can get good views from North Queensferry and Queensferry. More details are available on the Undiscovered Scotland website. 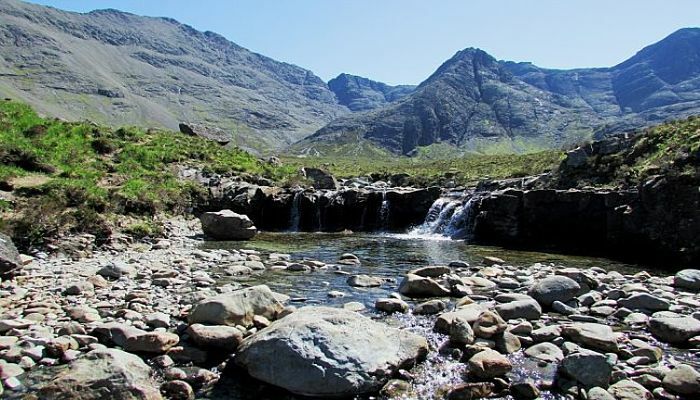 Another hotspot for keen walkers is the Fairy Pools in the Isle of Skye. Situated near Glenbrittle and close to the village of Carbost. From the carpark (a 10 minute drive from Carbost) the walk will probably take you about 40 minutes. Take your camera. 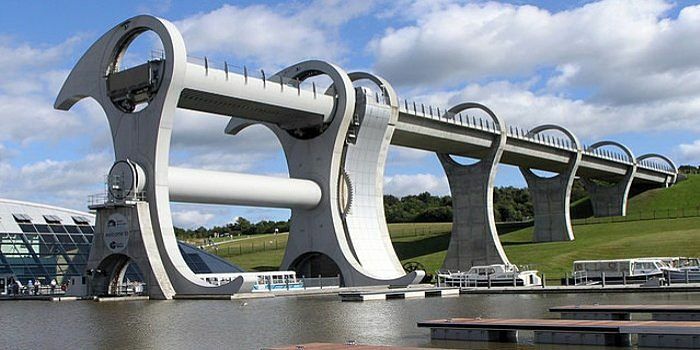 The Falkirk Wheel is an engineering wonder and one of our top attractions. For the technically-minded it’s the first rotating boat lift in the world, connecting the Forth and Clyde Canal with the Union Canal. 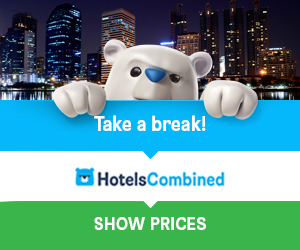 The non-techies can enjoy the visitor centre, the picnic area, or a boat ride. There’s also an outdoor play area to keep the kids amused. The 23 miles long Loch Ness is an awe-inspiring sight, a great expanse of deep water, surrounded by beautiful scenery, picturesque villages, and Urquhart Castle. You can spend a good day here with a nice cruise on the Loch, but don’t go monster hunting. 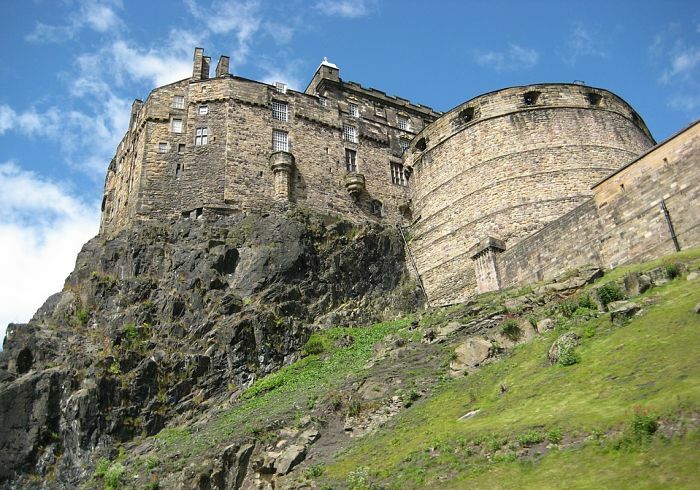 There’s a full page about Edinburgh Castle and it also features on the Top Scottish Attractions page, but this list would not be complete without a mention here. It’s our Number 1 (paid) attraction, and considering that the capital, Edinburgh is our most popular tourist destination, that comes as no surprise, and it’s well worth visiting.